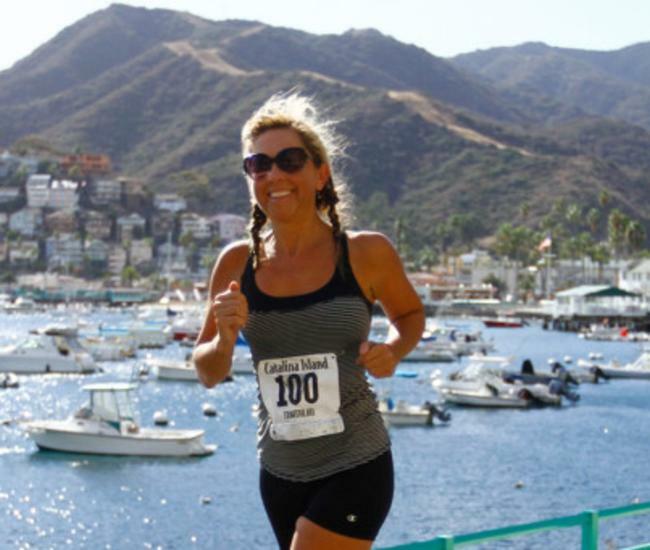 Once the planning is done and the reservations are made for your first trip to Catalina Island, it’s time to start thinking about what to pack. In addition to the basics, we’ve put together a few tips to help make your packing easier. Your sense of awe: Starting with the journey to the island, where you are likely to spot wild dolphins or massive whales, Catalina Island inspires a lot of awe. 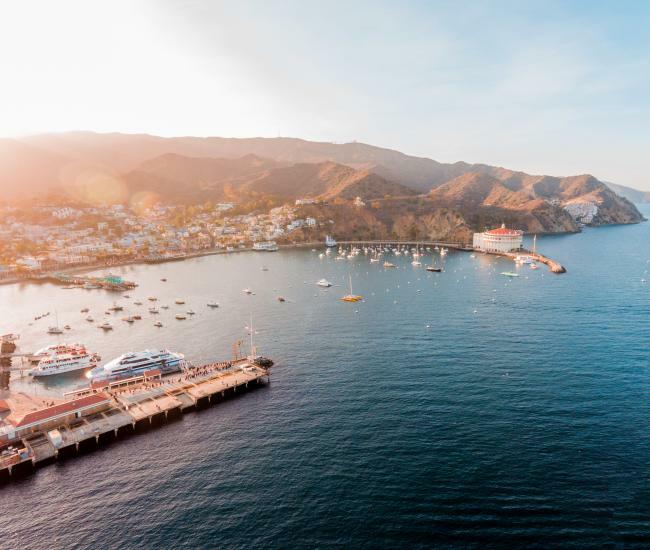 Once you get to Catalina, you’ll discover sun-dappled amber kelp forests undulating beneath the surface of the sea; iconic landmarks that come alive with history and culture; and spectacular vistas that will take your breath away. Be ready to be amazed by majestic eagles, wowed by delicious dining and awed by an array of activities. A light jacket: The weather on Catalina Island is just about perfect. Thanks to the moderating impact of the ocean, temperatures rarely exceed 85 and seldom drop below 45. The sun shines, on average, a remarkable 267 days a year and Catalina Island rainfall averages about a dozen inches annually, so chances are, no matter what season you are packing for, the weather will be wonderful. Even in summer, however, you’ll appreciate having a light jacket for moonlit strolls along the waterfront, boat cruises along the coast and other evening activities. Sunblock: The sun’s rays can be particularly intense close to the ocean. Don’t forget to pack sunscreen for everyone in the family. If you do forget, many of the shops in Avalon and Two Harbors will have a wide selection to the choose from. 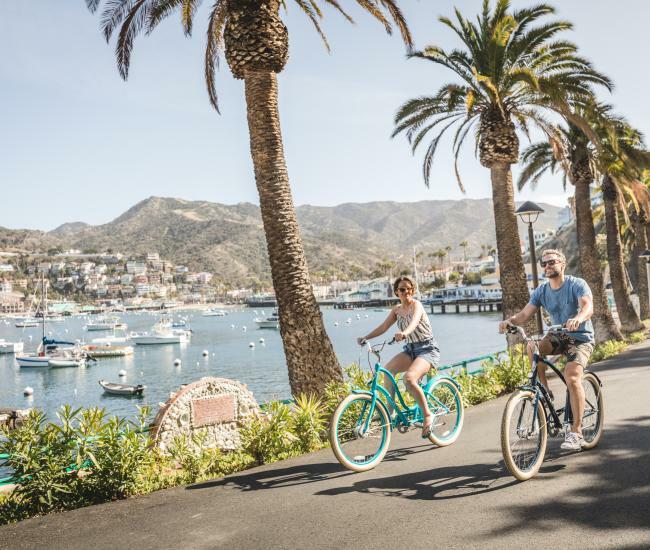 Your sense of adventure: You’ll discover that Catalina Island activities include dozens of options for adventure, whether you define being adventurous as learning to scuba dive or tasting something unexpected on a food tour. Your Catalina vacation won’t be complete without trying something new, such as hiking to a windswept promontory on the island’s windward side, snorkeling to see the multitude of marine life that inhabits local waters or racing high above the scenery on a zipline. Wheeled luggage: With its quaint streets and compact size, Avalon is a pedestrian’s paradise. You’ll find that most hotels, restaurants, shops and activities are easily navigated on foot – especially if you bring the right luggage. Plan on wheeled suitcases to make your vacation easier. Stress: One of the first things you’ll want to leave behind is stress. Catalina Island offers a restful retreat, where the pressures of everyday life melt away, leaving you relaxed and refreshed. Thanks to nearly non-existent crime and no traffic, plus charming streets and spectacular scenery, stress is one thing you definitely won’t need on the island. Your car: Vehicles are strictly regulated in Avalon and you cannot bring a private vehicle to the island unless you’ve lived here for decades. 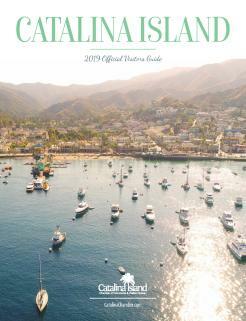 Unlike other island destinations, there is no car ferry to Catalina Island. You’ll see plenty of golf carts on Catalina Island; it’s one of the most popular modes of transportation for visitors and residents alike. Walking is very popular – Avalon’s pedestrian-friendly ambiance is one of its many charms. Bicycles are also a common mode of transportation. You can bring your own – with a surcharge – on the ferry or rent one for a few hours when you arrive. An overabundance of supplies: While you will definitely be getting away from it all on Catalina Island, you don’t need to bring it all with you. Avalon features a grocery store and a pharmacy, as well as several clothing stores and plenty of restaurants. If your destination is Two Harbors, near the island’s more remote West End, you’ll find a general store with groceries and camping supplies, a restaurant and a snack stand. Too much luggage: The island’s transportation services, including the ferry to Catalina Island and the helicopter have restrictions on luggage, both for baggage size and weight. Make sure to double check with your transportation provider to ensure you meet their requirements. Unless you are attending a wedding or black tie gala, don’t worry about packing anything other than casual island attire; the dress code on Catalina Island is strictly casual.